A delicious T-bone steak without getting out of the house? It is possible with Beef&Steak, your online butchery. 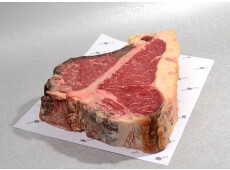 If you order befory 17.00 on monday till Thursday, we will send your T-bone today! Doesn't that sound nice? 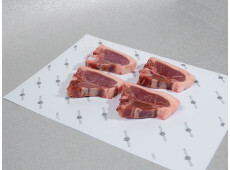 De T-bone steak is piece from between the ribs, like the sirloin, but then with a bone in it. At the other site of the bone is also another piece of meat, known as the tenderloin. That means that you actually eat two different kinds of steak, namely the sirloin and the tenderloin. The T-bone steak is one of the best pieces of steak in it's existence. For more information, you could call our helpdesk at phone number 0172-577 147. You could also send an e-mail to the adress info@beefensteak.nl.